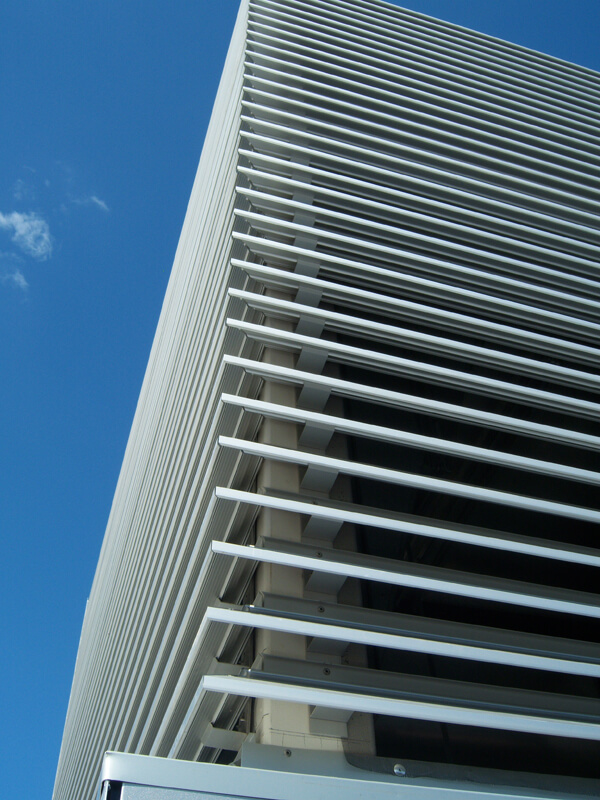 The concern for energy management in buildings is a relatively recent phenomenon. In the past few decades it has become clear to everyone that issues involving energy-saving constructions are much more complex than just good insulation and providing unlimited access to sunrays. One of the most important challenges is the control over direct sunlight that penetrates the glass. When sunrays fall on a window a portion of them is reflected, a portion penetrates and a portion is absorbed by the glass. The latter portion of solar heat gain is converted into heat that subsequently radiates on both sides of the glass. 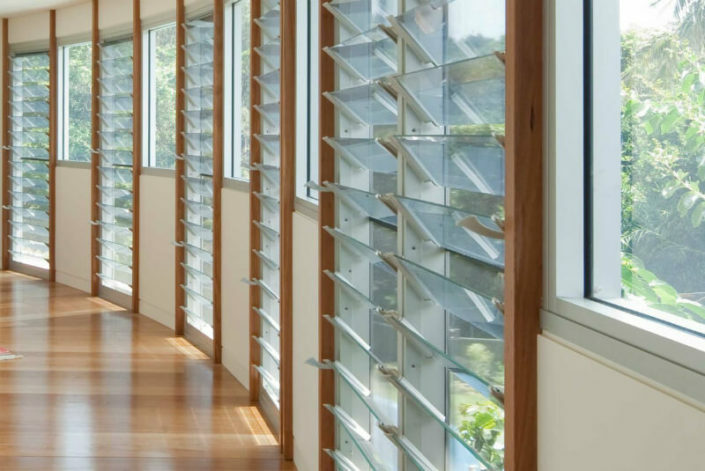 When the glazing is protected by shading, the number of sunrays penetrating the glass and shading decrease considerably whilst the reflected sunrays increase. 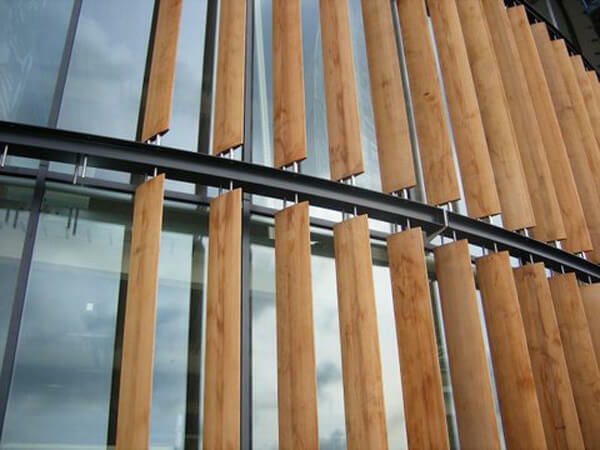 In the design stage the building is to be protected as efficiently as possible against direct solar heat gain. 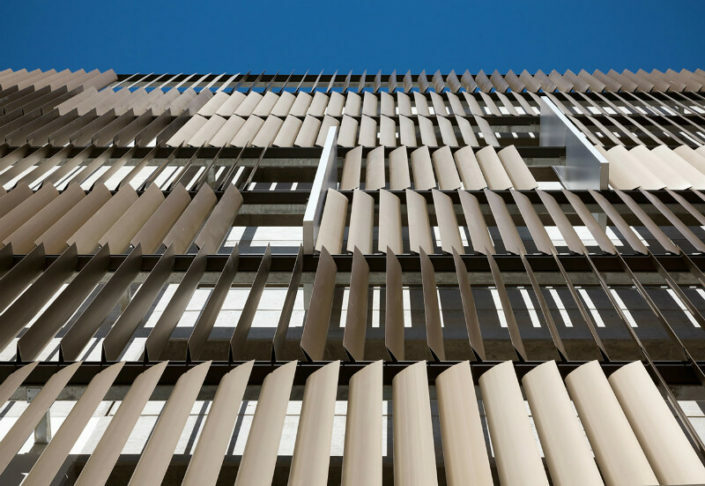 A good balance is required between the shading capacity and a maximum input of daylight, which is important to visual comfort in office buildings. It goes without saying that the exposure of the various outer walls is decisive in the choice and dimensions of the system. For the choice and dimensions the respective shadow angles can be calculated for each outer wall. The shadow angles are calculated on the basis of the position of the sun relative to the glass. 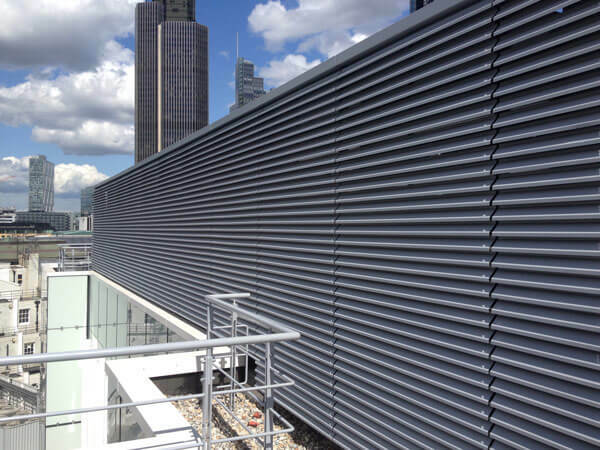 With a specifically developed software we are able to provide the calculation of these shadow angles and the correct dimensions of the shading device for each outer wall separately. Once the required parameters are entered, the program immediately generates a 2D illustration.